KILAUEA VOLCANO, BIG ISLAND (HawaiiNewsNow) - The Kilauea Volcano put on yet another stunning show on the Big Island last week. Paradise Helicopters and Tropical Visions Video captured a beautiful sight from Kilauea's 61g flow from the Pu'u O'o vent to the ocean entry at Kamokuna during an early-morning flight on Sept. 7. 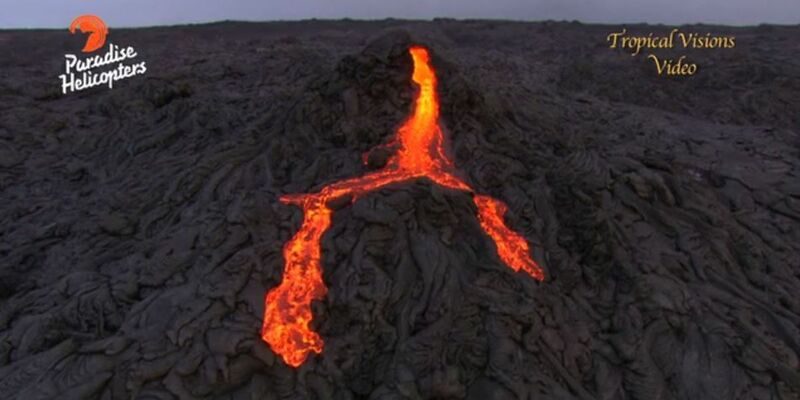 The video shows the bright orange streams of liquid lava rolling down a 30-foot cone. The outbreak came from a break at the top of a tumulus about four miles below the Pu'u O'o Crater. The 61g flow began in early 2016 and has been drawing crowds since it started entering the ocean nearby.